In the ongoing battle of Apple versus Android, the new Pixel phones are a formidable weapon. Similar to the way Apple handles the iPhone, Google built the new Pixels from the ground up, with software designed to seamlessly integrate with hardware. It certainly makes for a tough choice (I already know of a few iPhone 7 users who wish they would have waited another month), so let's take a look at all of the Pixel pros and cons. There are a number of categories where the new Google Pixel beats out the iPhone 7, so let's go over the individual bullet points. The Pixel will be the first phone with the all-new Google Assistant built in. This combines Google Now, Voice Search, and Now on Tap into one formidable personal assistant, and uses Google's DeepMind artificial intelligence to tailor the experience to your specific needs, while giving Google a whimsical personality. Until now, Siri had Google beat in the personality department, as Google Now and Voice Search were more about finding answers than anything else. But Google Assistant is just as fun to interact with as Siri, so now, there's no comparing the two. Google Assistant will search your screen, answer questions definitively, carry on a conversation, make dinner reservations, and much more. And right now, the only way you can get the full experience with Google Assistant is to buy a Pixel. 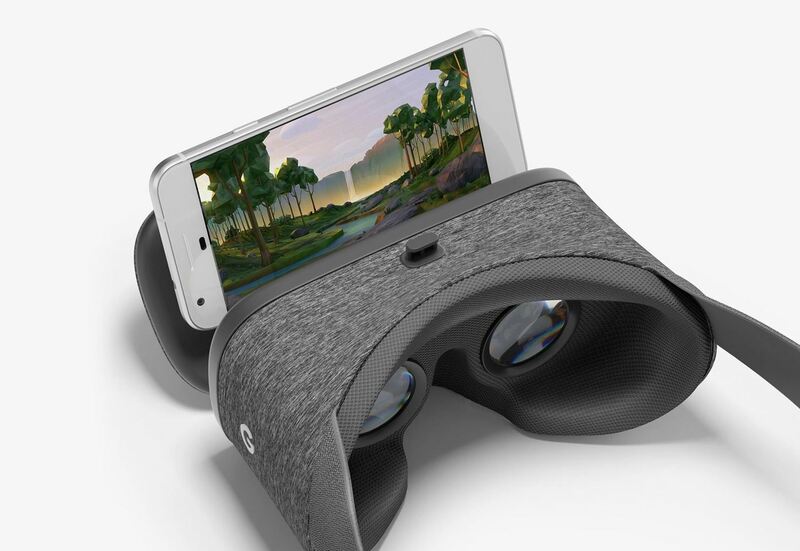 Google is launching a new virtual reality headset that uses your phone as the screen, and they're calling the unit Daydream View. It's similar to Samsung's Gear VR headset, but Google claims they've paid a lot more attention to how the headset actually fits and feels—with the added benefit of Google backing the software platform it runs on and developing partnerships with media companies like Netflix and Hulu. The new Pixels are the only devices that support Daydream right now, and it's sure to stay that way for a few months until the next round of Android flagships in 2017. The iPhone 7, on the other hand, has no equivalent VR headset yet. You can use some third-party apps and games with goggles like Google Cardboard, however, but that can't even compare to a headset and apps built specifically for the iPhone. Traditional LCD screens are on their way out, with the latest top-notch TVs opting for OLED technology instead. This type of screen requires no backlight, as each pixel emits its own light. In the end, OLED screens offer much higher contrast ratios and infinitely dark blacks, with vivid colors that can't be matched by LCD. The iPhone 7 still uses a 720p LCD screen, and the iPhone 7 Plus has full HD at 1080p—but the Pixel phones are both packing AMOLED displays (aka, OLED for smartphones). The Pixel sports a 1080p resolution, while the Pixel XL clocks in at 144op, meaning both models have twice the resolution of their iPhone counterparts. This is mostly out of necessity for the Daydream VR support (VR requires ultra-high resolution), but it means that the Pixel screens are sharper and more vivid than either iPhone 7 model's Retina displays. Believe it or not, the Pixel phones have the best smartphone camera on the market, according to camera review site DxOMark. Their score of 89 after DxO's detailed testing ranks higher than any smartphone ever tested—even higher than the iPhone 7's score of 86. To be fair, the iPhone 7 Plus has not been tested by DxOMark just yet, and its dual-camera setup could possibly best Google's score here, but we're not betting on it. If you want a regular-sized device with the best camera available, the Pixel is your best bet. Speaking of pictures, both Pixel phones will come with unlimited cloud storage backup via Google Photos. Unlike Google Photos' regular free plan which limits photo quality a bit, pictures and video taken with Pixel phones will be backed up at full quality—even 4K videos. In comparison, Apple only gives out 5 GB of free iCloud storage, which does not mean it's all available for photos and videos. Eating up that space will be iCloud backups, emails (if you have a .mac or .me email address), app data, etc. Both Pixel phones feature Qualcomm's Quick Charge 3.0 technology, which is a huge plus. Battery life should be similar between the Pixels and the iPhone models, but when it comes time to top off, charging the Pixel for a mere 15 minutes will get you 7 hours of extra juice. If you have an iPhone 7 model, you know that 15 minutes of charging doesn't get you anywhere near that amount of power—even if you use an iPad charger. The iPhone 7 and iPhone 7 Plus pack more memory (RAM) than most of Apple's previous models, coming in at 2 and 3 GB, respectively. But both Pixel phones have 4 GB of RAM, which should make switching between apps a bit faster, and will help with performance in larger apps and games. Generally speaking, though, iOS does a better job of managing RAM than Android, so real-world performance remains to be seen. 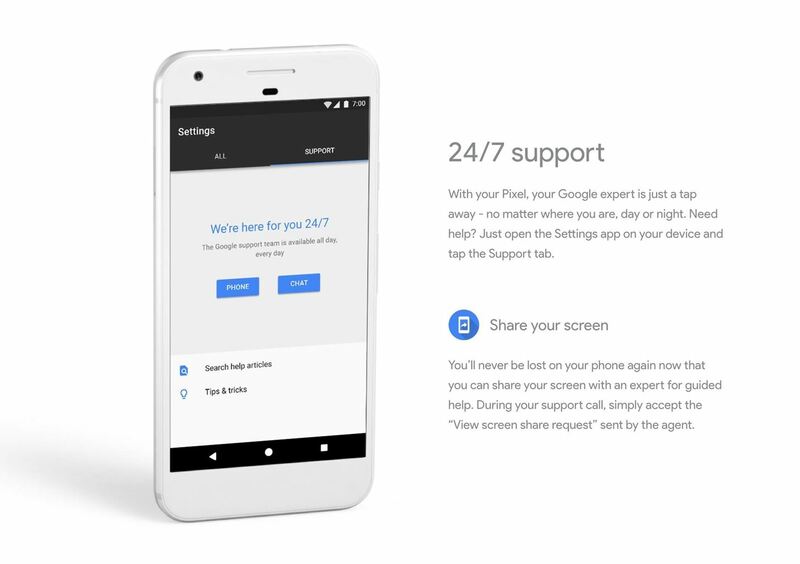 The Pixels both come with 24/7 live customer care, including an app that lets customer service view your phone's screen remotely. In comparison, Apple limits phone support to 90 days after purchase unless you bought an AppleCare+ plan. Apple does have free online technical support, as well as Geniuses at your local Apple Store, but it's nothing compared to free support whenever you need it—no matter where you are. The Pixels are Google phones through and through, so it only makes sense that they work on Google's nationwide mobile network, Project Fi. Aside from older Nexus devices, the Pixels are the only phones that will work on Fi, so they're your only option if you want to get in on Google's futuristic cell network which. Project Fi starts at $30 for 1 GB of data, with additional gigabytes costing $10 only. Plus, if you don't use the full amount, the remainder gets subtracted from your bill. Additional features include using your phone as a hotspot and no contract. Try finding a good, cheap plan like that for iPhone! We had to add this one, but I don't have to expand on it, considering all of the coverage it's received. 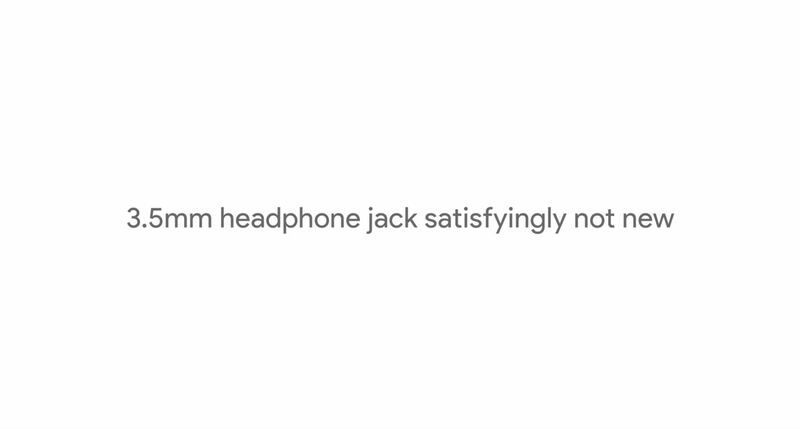 The Pixel has a headphone jack, the iPhone doesn't—simple as that. Google's latest phones have their fair share of advantages over the iPhone 7, but it's not all roses and sunshine in Pixel land. There are a few cons for iPhone users who are thinking about making the switch over to Pixel, so let's look at the other side of the coin. WhatsApp may be popular overseas, but for Americans, iMessage has become the preferred method of communication just behind Facebook Messenger, and iOS 10's new Messages features make it almost hard to fathom switching over from iPhone to Android. The Pixel phones will not support Apple's messaging platform, instead relying on simple SMS, so your iPhone friends will see that dreaded green bubble if you switch. If you have a large iTunes music library, you'll have to jump through a few hoops before you can start listening to your music on a Pixel device. With the exception of Windows, iTunes is only available on Apple products, so you'll need to transfer your music library to Google Play Music if you go with Pixel, and some of that metadata you've been adding to your collection for years (e.g. song ratings) may not transfer over. Plus, your collection will live in the cloud versus being stored on your iPhone in Apple's Music app. There are other music players for Android, like doubleTwist, that sync your iTunes library with their desktop clients, then transfers all of the music to your Android device. So it's not impossible to have a good "iTunes" experience on Android... it's just not what you're used to, and won't be able to sync back to iTunes on your computer. The Pixel's camera app has a mode that simulates the iPhone 7 Plus' Portrait Mode by asking you to move your phone as you take photos, so you can get the bokeh effect from Apple's dual-lens setup. However, the 2X optical zoom offered by the iPhone 7 Plus is not available in the Pixel or Pixel XL, so instead, you'll have to rely on digital zoom if you're far away, which can lead to grainy photos. Apple is king when it comes to updating their smartphones, as some devices have spent more than four years running the latest version of iOS. The Pixel phones will have solid support from Google (none of that manufacturer and carrier tinkering that plagues Samsung phones), but they are only promised 2 years of Android updates, with an extra year of security fixes tacked on at the end. Overall, Google's new Pixel phones are obviously formidable, and it's nice to see the two biggest companies in the world going head to head in the smartphone space. Are all these features enough to actually get people to switch from the iPhone, though? That remains to be seen. One major hurdle is today's smartphone ecosystems. If you've been using iOS for years, you've probably made hundreds of purchases that won't transfer over to Android, and that's a big incentive to stay. However, Google has made it easy to switch with a new app and adapter cable, so that might smooth out the transition. On paper, the Pixel sure looks like the better piece of hardware, but real-world usage is a different story. Unfortunately, though, if you just want to know which phone is better, I can't give you an unbiased answer—I've already purchased two Pixel phones for myself and family. That's a good point, I thought about adding it to the list. But the Pixel is actually water resistant, it's just not as water resistant as the iPhone 7, which itself is not as water resistant as the Galaxy S7, so it's kind of a complicated discussion. Neither phone is in stock....anywhere. I'm going to buy one of those safe Galaxy Note 7s.